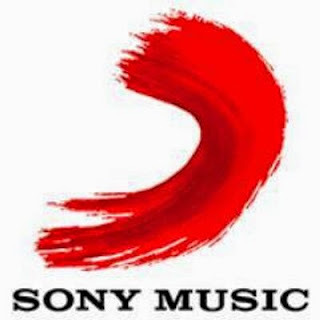 The Verge has published details of the hitherto unknown terms of the January 2011 deal between streaming service Spotify and Sony Music, one of the two big record labels. And it makes for fascinating reading. Perhaps what isn't surprising (given the then near start up nature of Spotify in 2011) is a contract laced with 'Most Favoured Nations' provisions for Sony. The basic deal consists of annual advances paid by Spotify and a 70:30 split of advertising revenues in favour of Sony: On gross revenues the detail shows the actual split of revenue varies from rights owner to rights owner, but labels are usually getting somewhere between 55-60% and publishers 10-15%. The Sony contact unsurprisingly puts the world's second biggest record company at the top end of the range, on a 60% split. There are some odd quirks - Spotify seems to have a 15% buffer zone in ad sales which it doesn't have to account to Sony (and therefor cannot be shared by Sony's artistes) to cover out-of-pocket costs paid to unaffiliated third parties for ad sales commissions (subject to a maximum overall deduction of 15 percent "off the top" of such advertising revenues). Sony seems to have its own ad spots it can sell to a value of $9 million annually. How Sony accounts on for the profits from this (and how it pays over any share of advances - if it does at all) to artistes is unknown. These label advances are controversial: Some artists and managers say they are concerned that the label's demands on digital start-ups have prevented some new services from ever getting to market, which results in a market dominated by one or two main payers - Like Spotify in which both both Universal and Sony are believed to hold equity. But of more concern for artists is what happens to unallocated advance payments and whether larger advances (which labels generally benefit from) push down ongoing royalties - where artistes do share. The other big question is how much Sony Music gets paid per stream, and well, it’s complicated! Section 10 of the leaked contract shows how Sony Music separated it's label fees into three distinct tiers — the ad-supported free tier, online day passes (which no longer exist), and Spotify’s premium service - and a somewhat complex formula governing payments to Sony. Spotify must pay $0.00225 per minimum stream, but this rises to $0.0025 per stream if growth targets are missed. But as the Verge says "Even with this contract, it’s still difficult to tell how much artists are getting paid by Spotify. Sony Music is likely getting considerable payouts from Spotify each year, but what it does when it gets that money — and how much of those payments actually make it down to the artists — is still unknown. Some artists have clauses in their contracts to get a larger share of the streaming revenue, and some artists are still operating under CD-era contracts that only give them 15–20 percent of their streaming revenues." But a share of which revenues? 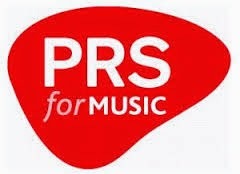 In a related theme - and noting the above splits in gross revenues with labels collecting up to five times as much as music publishers from streaming service revenues - PRS for Music chief executive Robert Ashcroft has delivered a speech at the PRO's 2015 AGM outlining a number of issues which he says have prevented publishers and songwriters getting "fair value" for their work. Among the obstacles highlighted by Ashcroft were the continued battle against piracy, unhelpful safe harbour legislation which has been used by the likes of YouTube to protect their business models (noting "This legislation was not intended to protect those that host, curate and distribute copyright material while claiming to have no knowledge of it on the grounds that their users, and not they themselves, have the knowledge and are responsible for clearing copyright. "), and the shift from downloads to streaming, which Ashcroft said is not yet paying enough to songwriters. Music Week have published the whole speech. The Musicians’ Union is planning to take major labels to court in the UK over the royalty rates for digital music paid under contracts signed before the days of streaming and downloads. Its move follows a legal case in Finland earlier this year, when the sons of a musician from the band Hurriganes won a case against Universal Music for claiming internet rights over music released in the 70s. The MU assistant general secretary and founding member of R&B/doo-wop band Darts, Horace Trubridge, said the three major record labels “don’t play fair” and “are screwing musicians”. And now the actual copy of the contract the Verge got hold of has been removed from online - TechDirt tells us "Well, well. A few days ago, the Verge got a huge scoop in the form of Sony's original US contract with Spotify, leading to a ton of discussion (mostly focused around the huge "advances" that Spotify guaranteed Sony, and the related question of whether or not Sony actually passes those advances on to musicians). The debate raged on for a couple days, and late last night, Paul Resnikoff over at Digital Music News noticed something interesting: the original contract was now missing, and The Verge's own website claims it's due to a copyright threat from Sony"